Equus is a gated and master planned equestrian community designed with the sophisticated equine enthusiast in mind. This is a private, gated and exclusive 280 homesite community designed with a Northern European flair and a timeless old-world feel. The Equus estate home community offers gracious country lifestyle for equine owners with discerning tastes. Homeowners can enjoy the community's five miles of meandering trails and partake in our area’s horse shows and equestrian events. This unique community features tasteful and refined estate homes situated on large homesites featuring beautiful lake or preserve views and that allow residents the extra space needed to enjoy their natural surroundings. 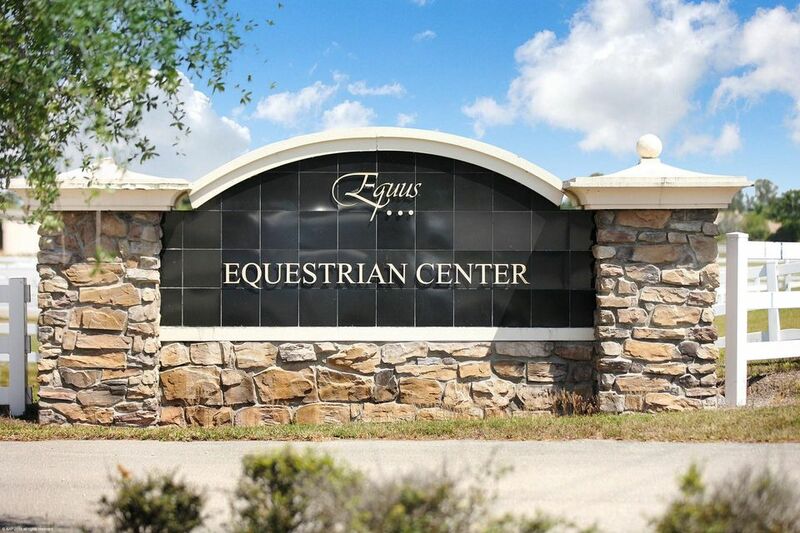 The adjoining Equus Equestrian Center houses a riding school, competition rings, and paddocks and provide residents with a full-service boarding facility. Professionals on the show and eventing circuit will enjoy this community's equestrian facility as a lay up facility during the off-season. The Equus clubhouse is well-appointed and features a fitness center, pool, tennis courts, grand lounge, and ballroom and overlooks the Equus Equestrian Center full-service boarding facility next door.